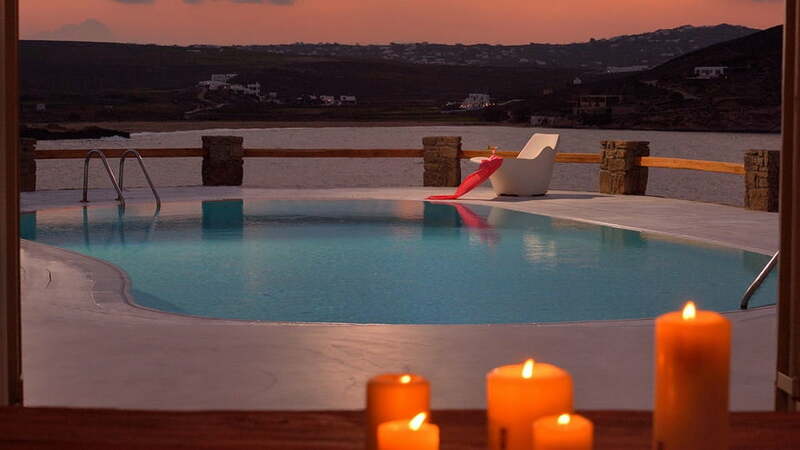 On the Gulf of Ftelia and a few steps away from the gorgeous Ftelia Beach in Mykonos lies Villa Juliet. 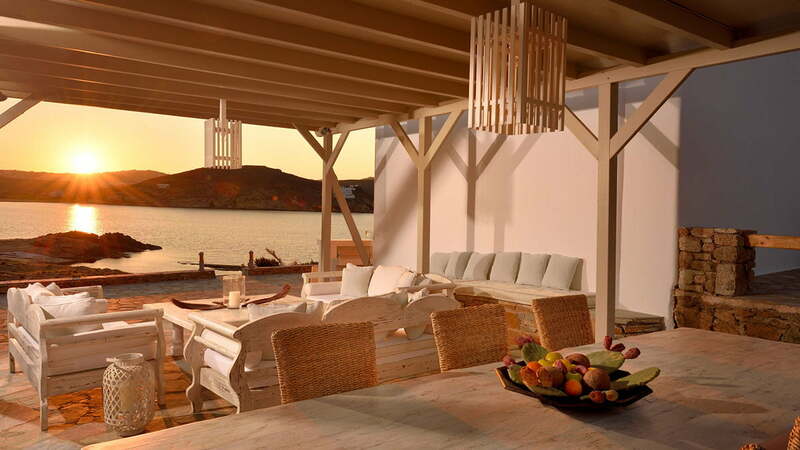 The beachfront villa offers guests an unobstructed view of the stunning coast. 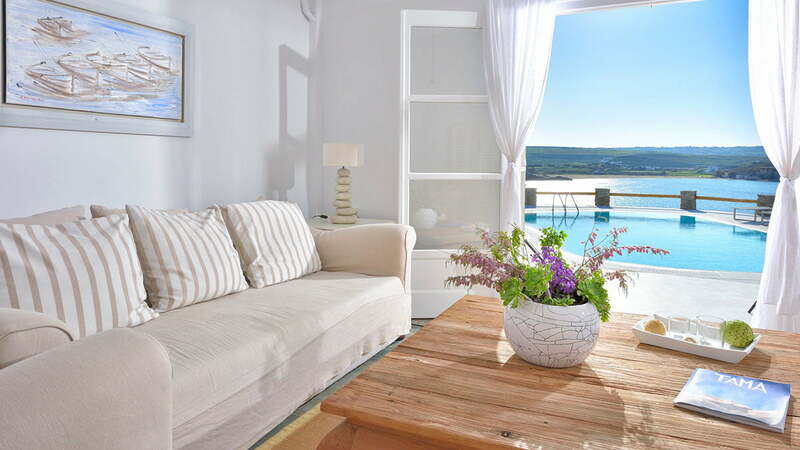 Being a short drive away from Mykonos town Villa Juliet balances the convenience of being close to the town with the tranquillity that comes from being set apart from it. Here, by the sea, guests can let go of their cares and enjoy the view, the fresh air and the immense beauty and comfort of Villa Juliet. 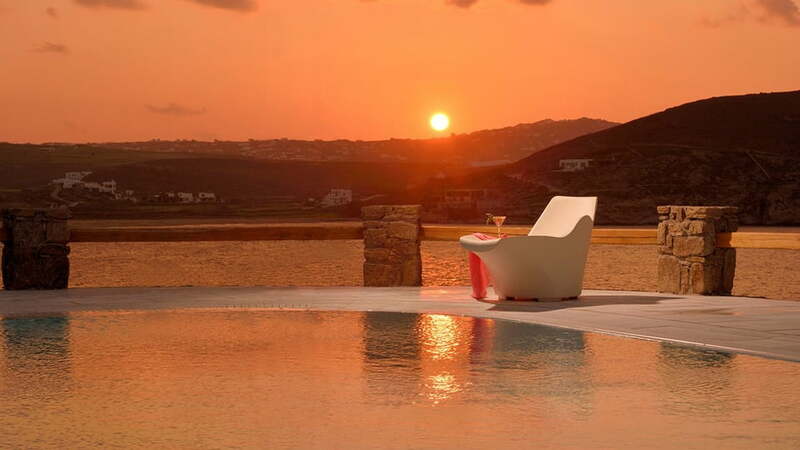 Villa Juliet is a 400-square meter villa located on a 4,000-square meter plot. A ten-minute drive from Mykonos town and two-minute walk from Ftelia Beach, Villa Juliet also has many restaurants nearby. The property consists of the main house and two guesthouses which together can accommodate a total of 12 guests or six couples. 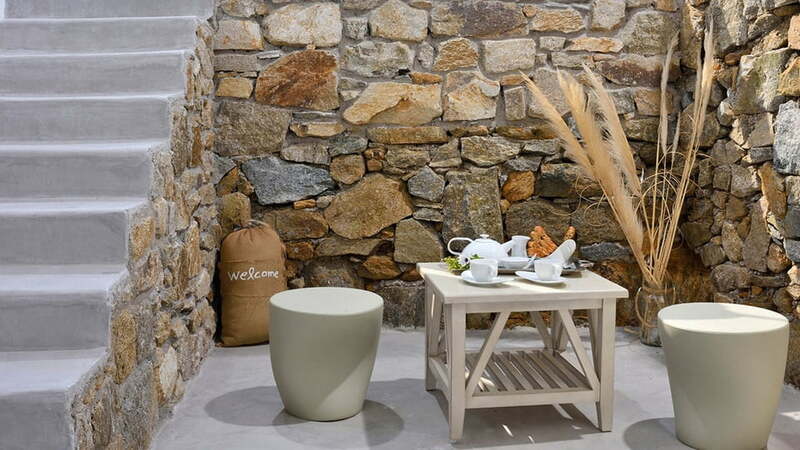 The villa is perfect for large families or friends travelling in a group. The outdoor area boasts a large swimming pool on one level and a pergola-covered dining and lounge area on another level. Around the swimming pool, there are sunbeds where guests can relax. The dining and lounge area has a dining table, cosy sofas and a bar. 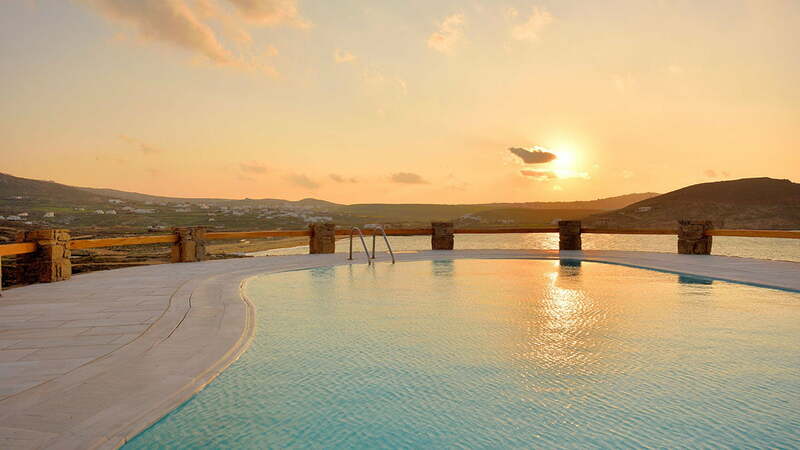 All the rooms have access to the swimming pool for the convenience of the guests. 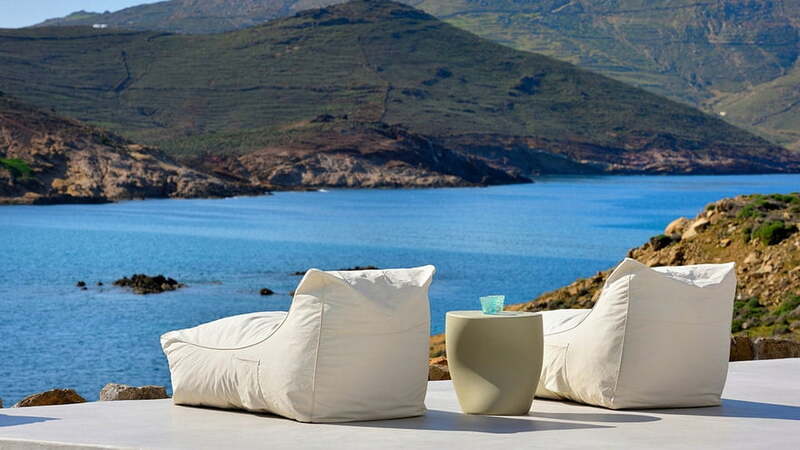 Where ever you are in Villa Juliet, you are always treated to the magnificent view of the sea and the surrounding areas. 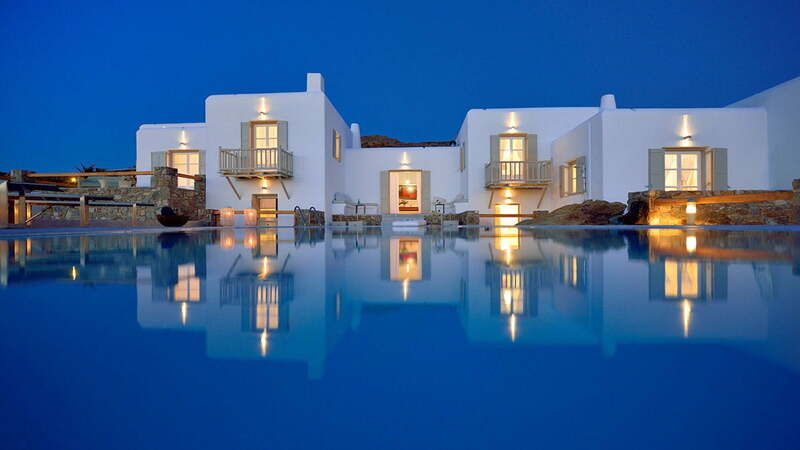 And when you need some more action, you can drive down to Mykonos town to explore the vibrant nightlife. - Daily maid service, change linen and towels twice a week and pool maintenance. 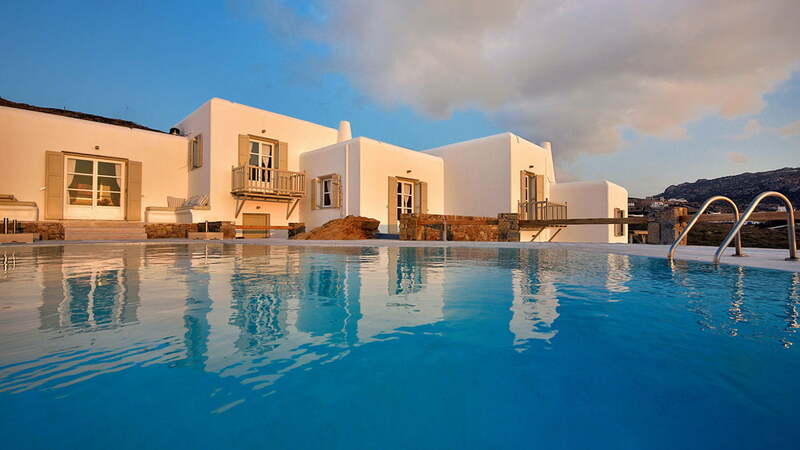 - A bedroom with two single beds, A/C, en-suite bathroom and pool access through balcony doors. 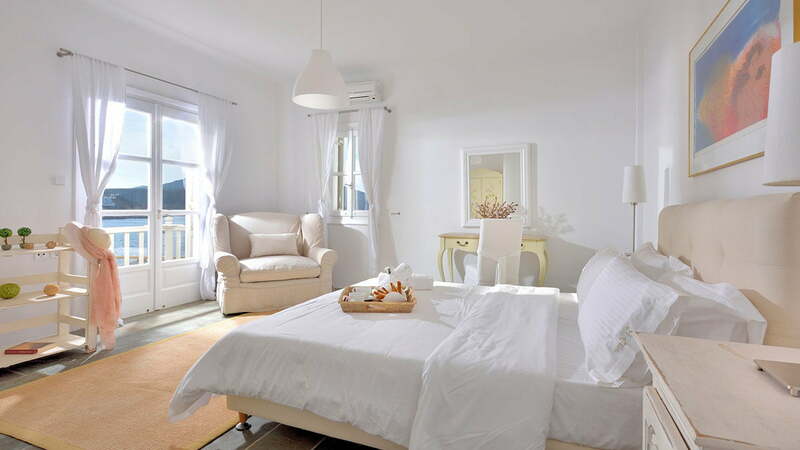 - A bedroom with two single beds, A/C and an en-suite bathroom. - A verandah with a view of the sea and pool. - Double bedroom with A/C, en-suite bathroom and a small balcony with a sea view. - Ground floor with fully equipped kitchen an all modern appliances, and access to the outdoor dining and lounge area. 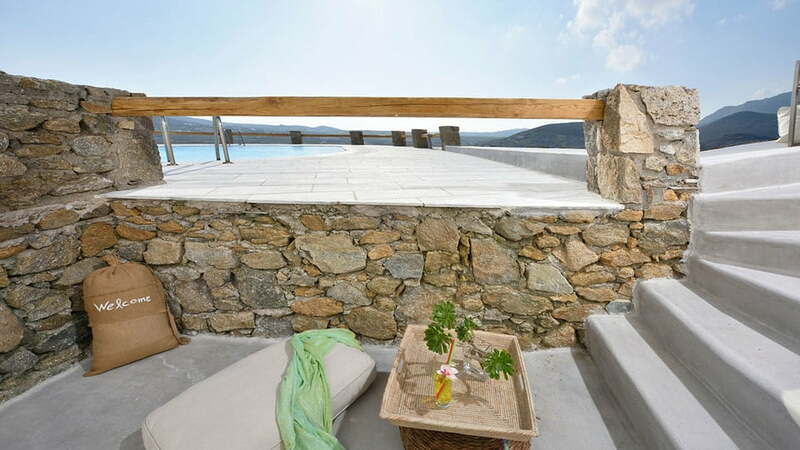 - Mezzanine with a sitting area and a window with a view of the sea. 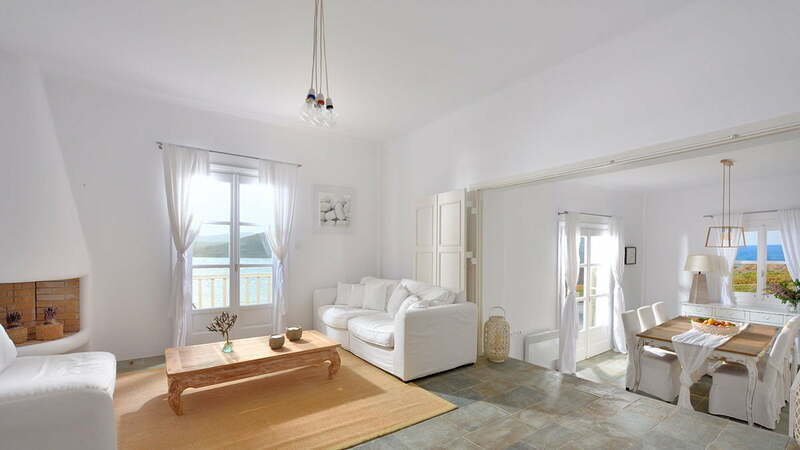 - Attic with a double bedroom, A/C, en-suite bathroom and a balcony with a view of the sea. - Ground floor with a bedroom with two single beds that can be joined to form a double bed. The room also has an A/C, en-suite bathroom, and direct access to the pool. - Mezzanine with a sitting area and a mini-fridge. 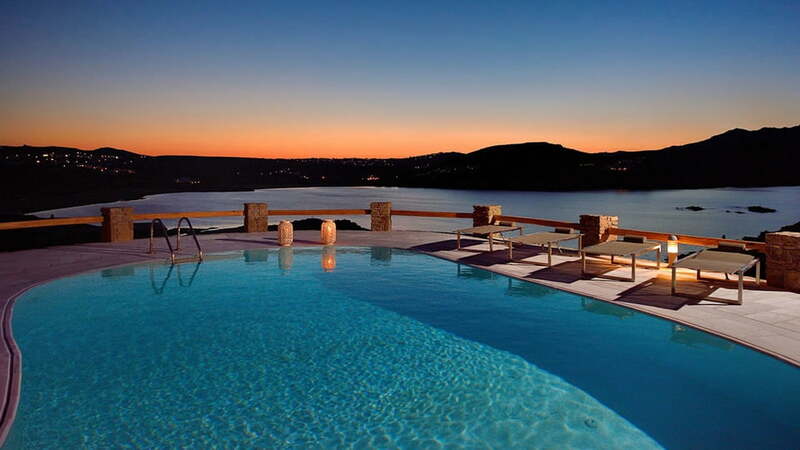 - The outdoor area is established in 2 levels: pool and modern pergola level. - At the pool, there are several sunbeds while at the pergola level there is a big monastery table for 12 persons & living area.